Originally titled Let's Go Steady, the satire on American society is set in 1958. The story was inspired by the phenomenon of popular singer Elvis Presley and his draft notice into the Army in 1957. The rock star character's name, "Conrad Birdie", is word play on the name of Conway Twitty. Twitty is best remembered today for his long career as a country music star, but in the late 1950s, he was one of Presley's rock 'n' roll rivals. The original 1960–61 Broadway production was a Tony Award–winning success. It spawned a London production and several major revivals, a sequel, a 1963 film and a 1995 television production. The show also became a popular choice for high school and college productions. Piano/vocal arrangements of 15 tunes from this Broadway favorite: Bye Bye Birdie - A Giant Step - A Healthy, Normal American Boy (We Love You, Conrad) - Honestly Sincere - How Lovely to Be a Woman - Hymn for a Sunday Evening (Ed Sullivan) - Kids! - Let's Settle Down - A Lot of Livin' to Do - A Mother Doesn't Matter Anymore - One Boy (Girl) - One Last Kiss - Put On a Happy Face - Rosie - The Telephone Hour. This deluxe edition includes 15 full-color pages with photos from 5 productions of the timeless musical, plus bios, an article and synopsis, and more. Includes 18 vocal selections: Bye Bye Birdie - Kids! - Put on a Happy Face - Rosie - and more. This popular standard from the Broadway musical ÚBye Bye BirdieÚ is arranged for younger voices using its original bright and bouncy feel. A great number to showcase both pop and concert choirs! Show and concert choirs will both sound great singing this upbeat production number from the musical Bye, Bye, Birdie. Exciting from start to finish! The great American musical classic comes alive in this ten minute medley. 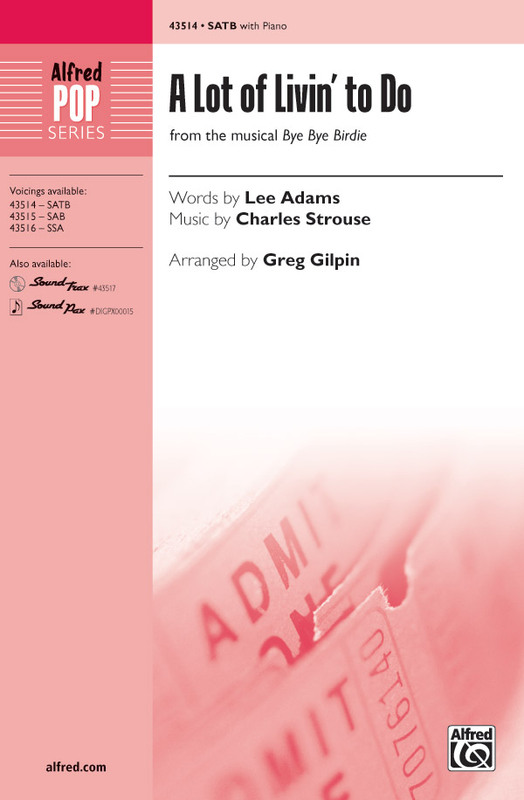 Join the kids from Sweet Apple High as they experience everything from Conrad Birdie to Ed Sullivan.Available separately: the first time in a choral medley, songs include: Bye, Bye Birdie, Kids!, A Lot of Livin' to Do, The Telephone Hour and Put on a Happy Face. 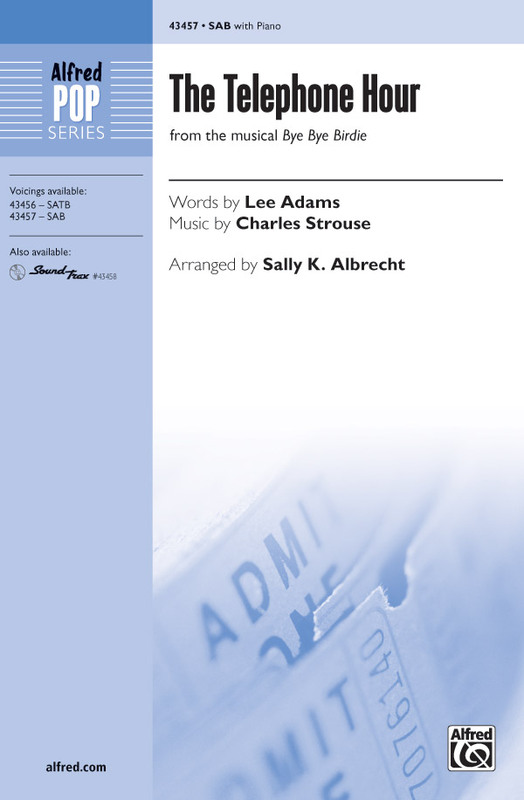 Available: SATB, SAB, 2-Part, IPak(C), ShowTrax CD. Approx. Time: 10:00.